The tsunami that is making the world a lot smaller. 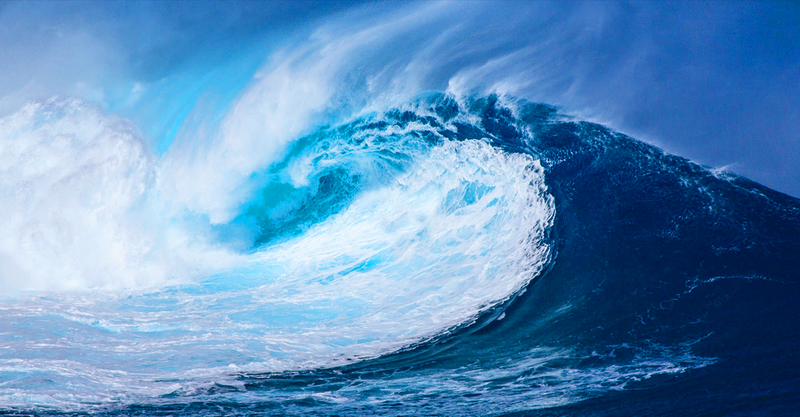 n a panel discussion earlier this month, industry experts weighed in on global parcel shipping trends and gave focused advice on how to surf the tsunami wave and avoid being crushed beneath it. The short answer to stay afloat? Technology. The over-arching message from the panelists is that the every market has become a global market. Companies need to balance the customer expectations, regulations, and regional variations of the entire globe. There is a need for a complex set of strategies to support global growth- and you shouldn’t go at it alone. Technology partners not only make it possible to reach your customers, but also to interact with carriers and consolidators, manage complex and changing regulations, and stay ahead of the wave. Today’s supply chains need to be flexible, able to respond to market changes on a dime. In this global market, with the shifting sands of regulations and regional variations, it is important to develop long-term, strategic partnerships to help carry the burden while businesses focus their time and attention on what they do best. As consumers are increasingly more willing to buy globally and sales opportunities abound, competition will follow. Customers demand the same fast and cheap shipping on their international orders as they have come to expect on their domestic shipments. Many businesses are trying to move their product closer to their consumer to meet these expectations, making omni-channel strategies even more complex. Staying relevant will require a flexible supply chain, and often times, the ability to move inventory from anywhere in the world, to anywhere in the world. Businesses are utilizing technology, especially machine learning, to manage and predict demand and inventory levels. These trends are changing the way carriers do business as well. Careful attention is being paid to the last-mile experience, as well as streamlining cross-border movements. Parcel carriers are Uber-izing, as all you need to be a delivery company is a phone and a vehicle. There are regional variations in how last-mile carriers operate as well. In Australia, for example, there are more than 42,000 carriers to choose from; the largest have invested in visibility technology, but many haven’t. Freight forwarders are seeing a drastic uptick in consolidation and direct injection services. Carriers (and 3PLs and suppliers) are increasingly dependent on new technology to support unique and growing business needs of their customers. In the same way heeding a tsunami warning can keep one physically safe, heeding the advice of the Parcel Tsunami can safeguard your parcel shipping strategy by increasing awareness of the global trends that will impact your business. Heidi Albers joined ConnectShip in January of 2018 as a Channel Sales Supervisor. She focuses on the development of new VAR relationships and product sales. She began her career with UPS in 2004 as a seasonal loader at the St Paul, MN hub twilight sort. In 2010, Heidi accepted a position as a Strategic Sales Support Representative. She has held positions as Middle Market Account Executive and Enterprise Account Executive. She was promoted to Healthcare Senior Account Manager in 2016. Heidi graduated with a Bachelor of Science degree in Business Administration from the Minnesota School of Business and an MBA from American Public University.